The Norwegian composer Ludvig Irgens-Jensen (1894-1969) was one of the towering creative figures of his native land, although his dignified and powerful music does not receive the attention its quality deserves, either at home or abroad. The success of his dramatic symphony Heimferd (‘Homecoming’) in 1930 brought him national fame, but the post-War triumph of modernism, coupled with his personal modesty, pushed Irgens-Jensen’s tonal music into the shadows: its contrapuntally based textures and its modally tinged harmonies were seen as things of the past. But a growing number of recordings is reminding listeners that he was one of the most distinguished and distinctive voices in twentieth-century music – a figure of international importance, writing music of striking nobility and strength of purpose with some meltingly lovely melodic lines. 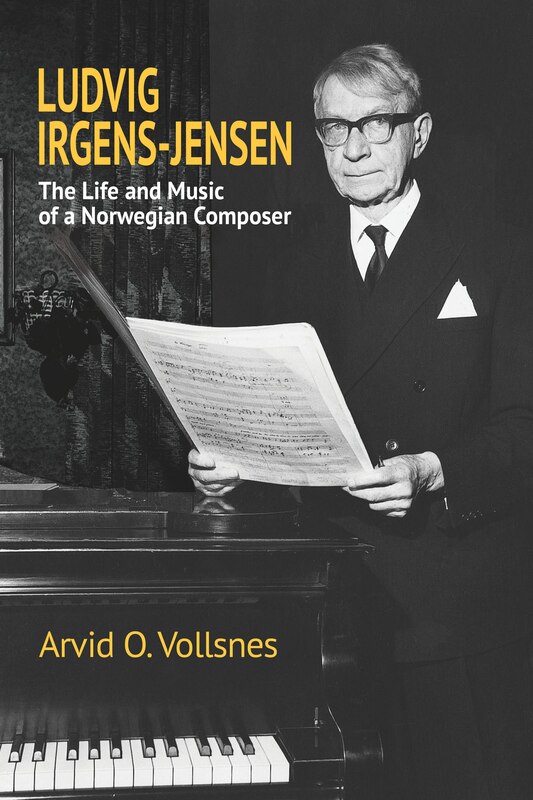 Arvid O. Vollsnes’ Ludvig Irgens-Jensen: The Life and Music of a Norwegian Composer is the first discussion in English of this profoundly decent man and his life-enhancing music. A review of the original Norwegian publication of this book in Aftenposten, the main Norwegian daily paper, described it as ‘a gripping biographical portrait. As well as Irgens-Jensen’s life we get a broad picture of Norwegian musical life from the 1920s to his death in 1969’. A CD of extracts from Irgens-Jensen’s works has been prepared to accompany the English edition to provide readers with an introduction to his highly individual and immediately appealing sound-world.